Hello and a very warm welcome to The Vintage Room! 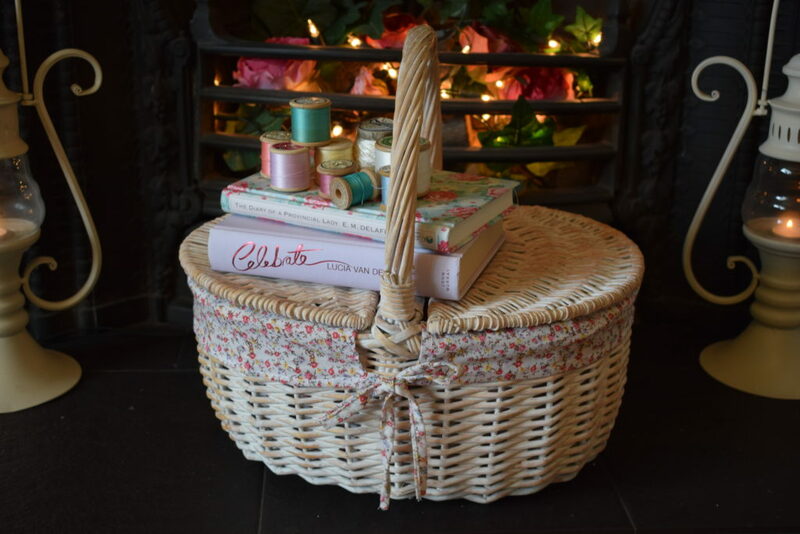 I’m Louise and I love vintage teacups, pretty florals, baking and interiors. In this blog I hope to bring you lots of yummy recipes, styling inspiration and snippets from my own home and events which I have planned and styled. 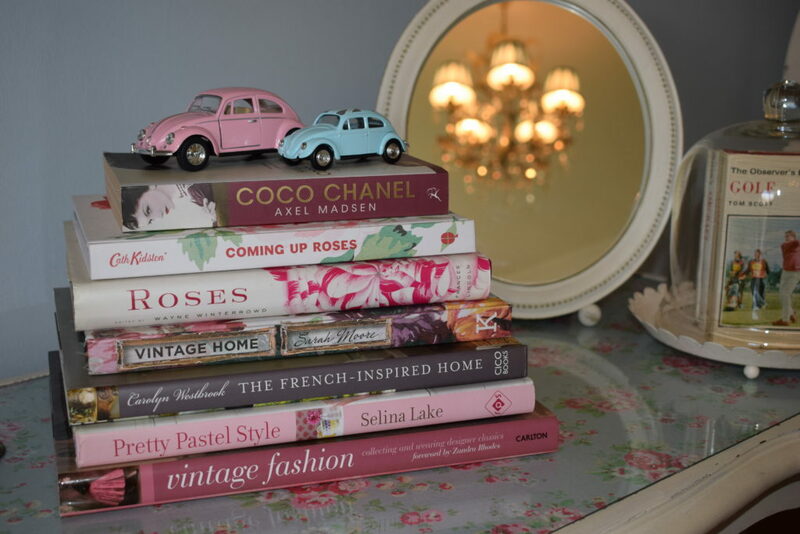 In this introductory post I am going to share a few pics of my living room to give you a feel for my personal style. 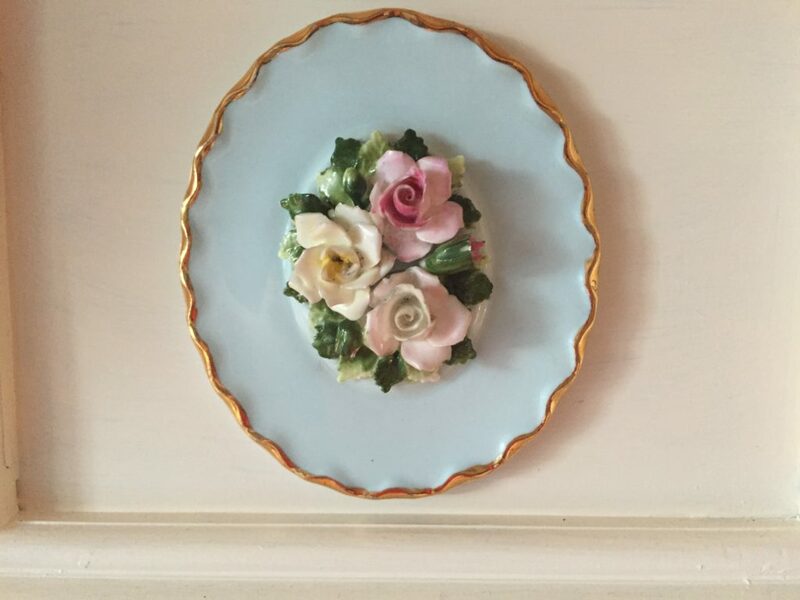 I am most definitely not a minimalist and I have a real love of curating pretty and vintage items into vignettes around my home for people to enjoy. 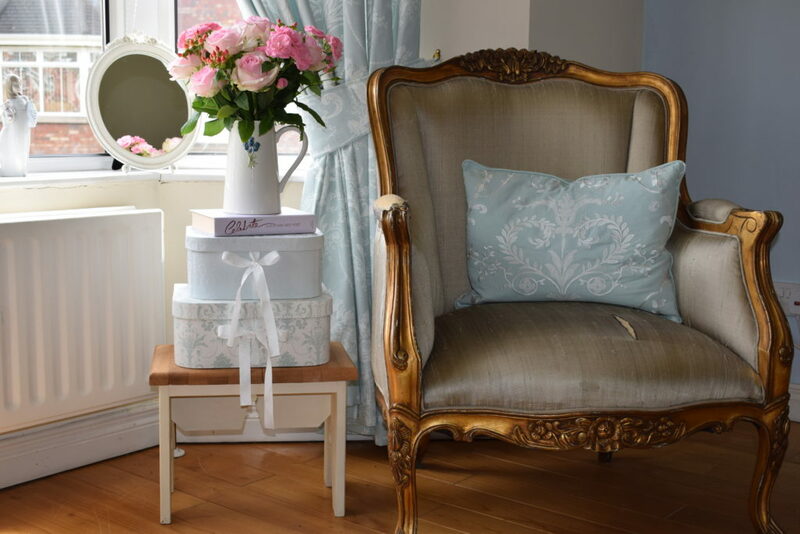 I am a big fan of pastels and tend to stick to using softer colours rather than bright shades. The fireplace in my living room was pine and I talked about painting it for so long but never quite got round to it until my sister Joanna came to stay for a few days. We took the plunge and used Dulux satinwood paint in ivory. I am so delighted with how it brightened the whole room. 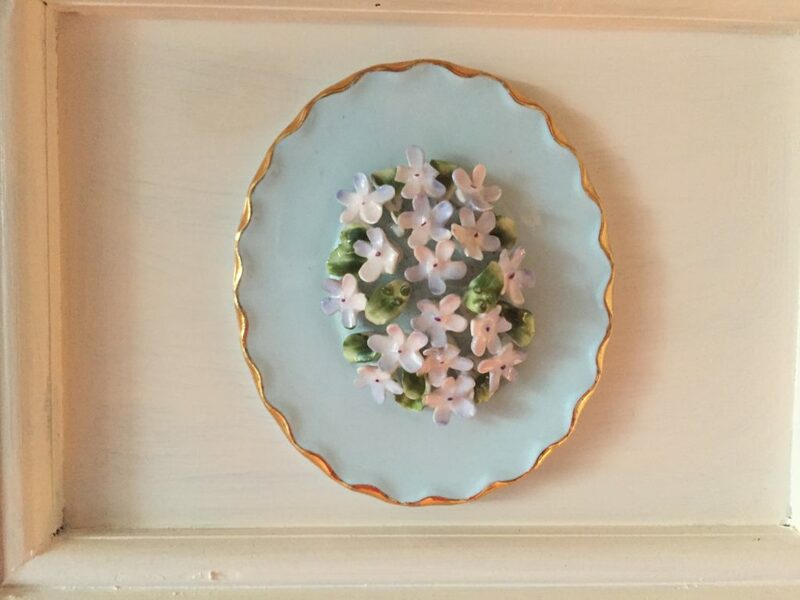 The little floral antique china plaques were a lucky find in an antique shop and match my blue feature wall perfectly. It is a working fireplace and I do love a coal fire burning but don’t like the mess and work it involves so I mainly always have logs with fairylights just to give a nice effect. My coffee table and matching side tables were wedding gifts 28 years ago. 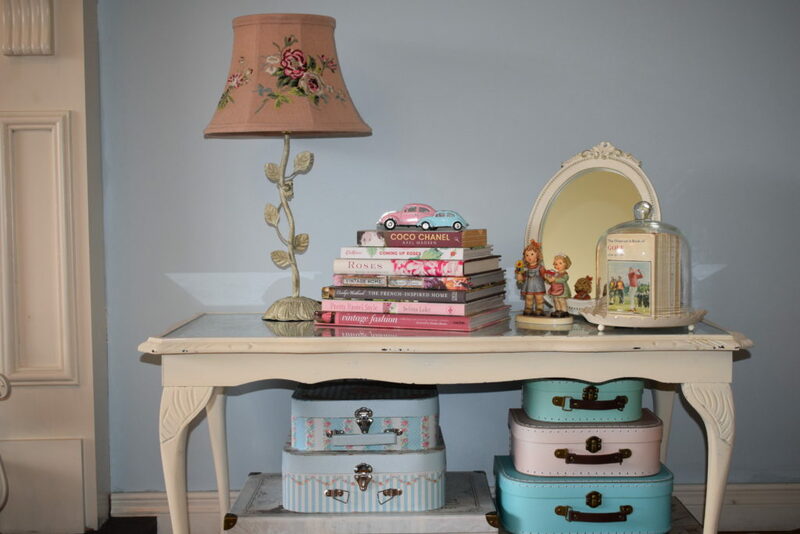 They were originally mahogany so I decided to upcycle them by painting them cream and putting some pretty Cath Kidston fabric beneath the glass. 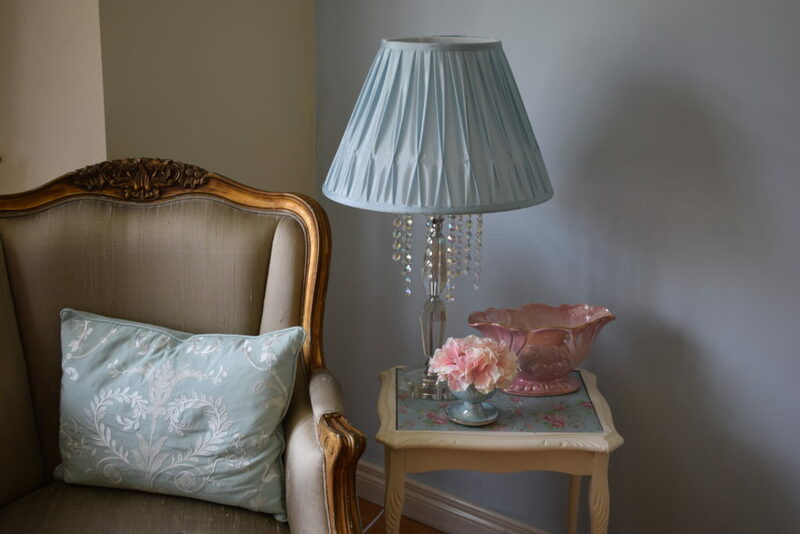 My blue lampshades were from Dunelm and my pink embroidered shade was from Laura Ashley around ten years ago. My duck egg Josette curtains and cushions are also from Laura Ashley. 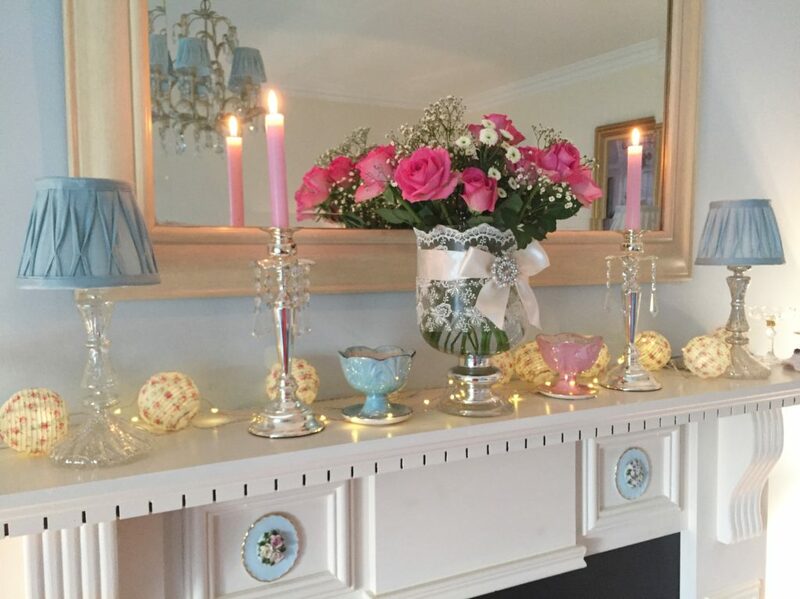 I have collected a few pieces of antique lustreware and have displayed a pastel pink and blue piece on my little lamp table. 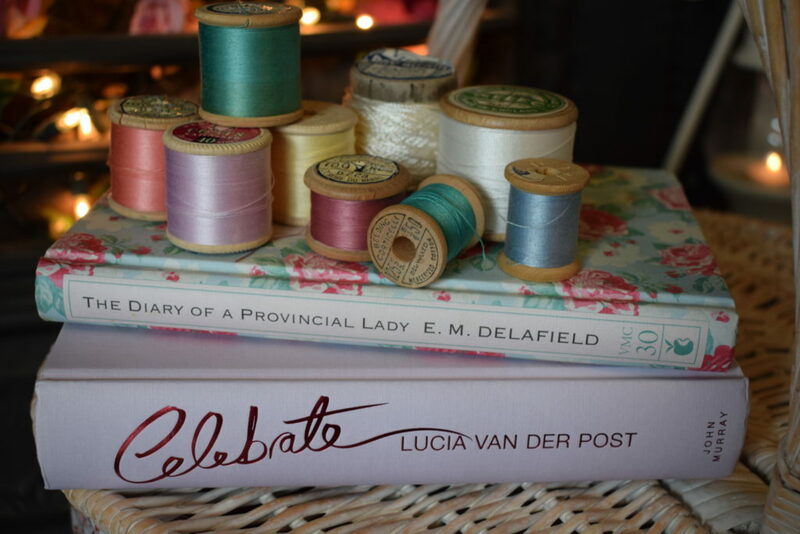 I have a huge collection of books, I always have some sitting around and must confess sometimes I buy books for the pretty cover as much as the contents! I intend to do a more detailed blog post on my book collection soon so have just included a couple of pics of what I have sitting out in my living room at the moment. 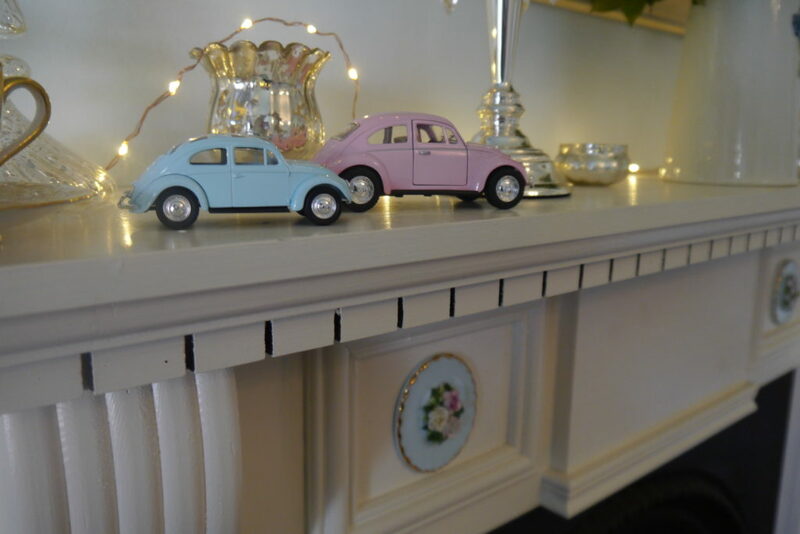 I also have a collection of vintage model VW Beetles and have the pinks and blues displayed around the room. Most of them were ebay finds and the pink ones came from a seller in the USA. 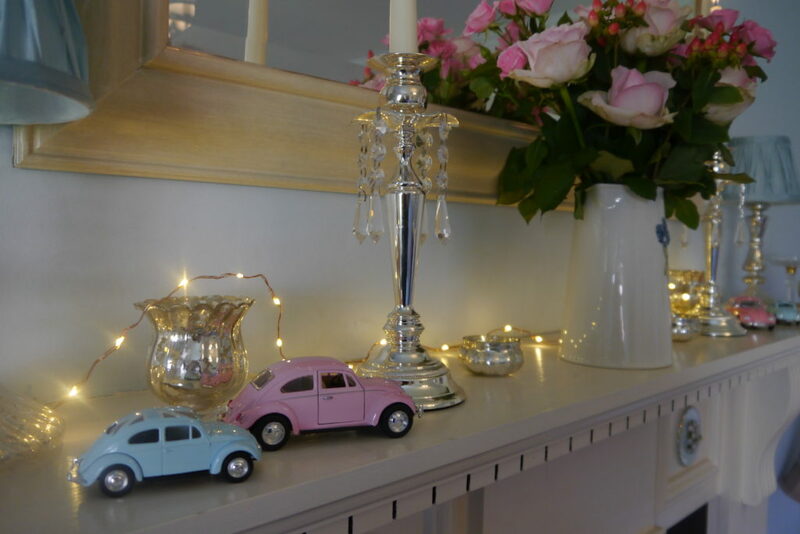 I hope you have enjoyed the little peek into my home and hopefully this has given you an idea of what my blog is going to be like. Looking forward to bringing you more posts very soon!